High gloss, one-part polyurethane topside finish available in 21 popular colors. Advanced UV stabilizers ensure a long-lasting finish that won't fade. Its combination of gloss, easy application, and durability is unmatched. 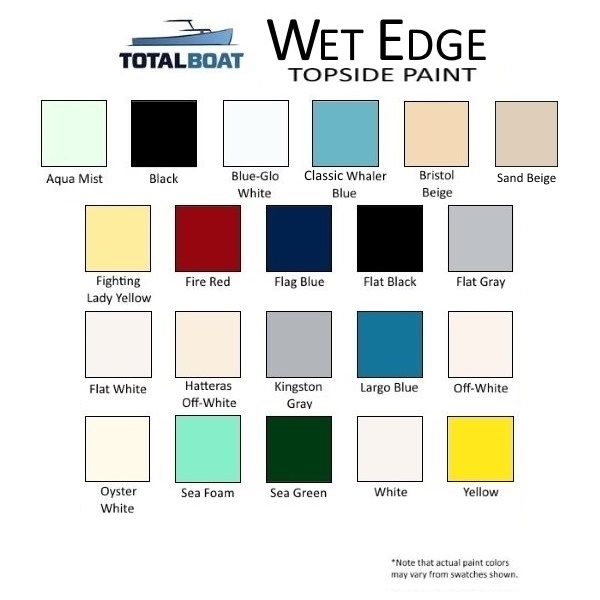 Wet Edge was created so anyone could easily paint their boat’s topsides with pride and not pay a premium to do it. Of course, you can spray it on if you want to, but simple rolling and tipping produces praiseworthy results. Just remember always to brush from the wet edge into new paint, then leave it alone and it’ll lay down flat, smooth, and glossy. Be careful you don’t get a big head from all the compliments. 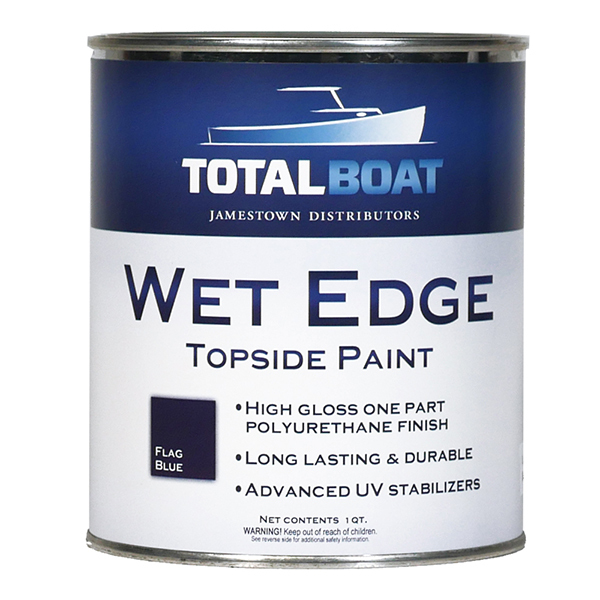 If you need to prime first, our high-solids TotalBoat Topside Primer was created expressly for use under Wet Edge. 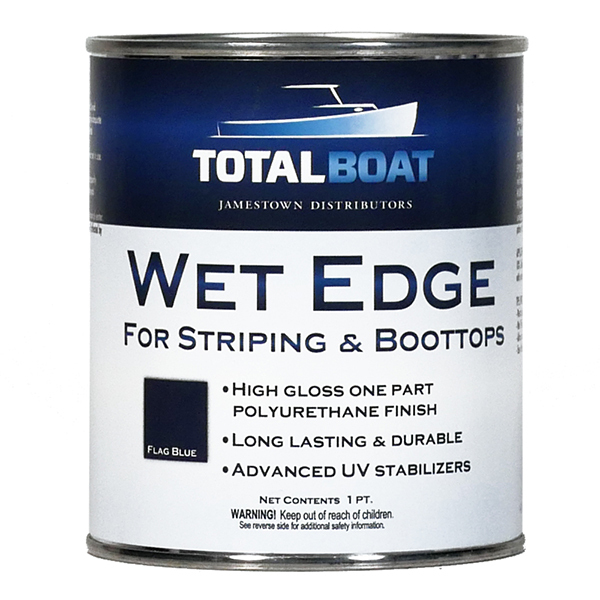 If you want to paint in temperatures below 70°F, use our Wet Edge Cold Cure Formula for easiest application and desired results in temperatures as low as 45°F. To get Wet Edge to cure to a rock-hard, super shiny finish, you have to think thin. Coats, that is. It’s loaded with solids so you don’t need to lay it on thick to get better coverage. You wouldn’t want to either, because it won’t dry as fast as it should. For best color and finish, we recommend 2-3 thin coats. 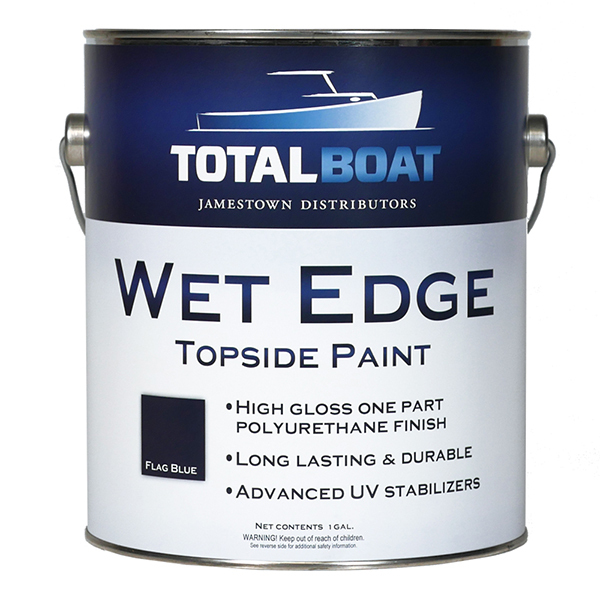 Wet Edge adheres to fiberglass and wood like wet on water, and expands and contracts effortlessly with your ever-shifting hull. 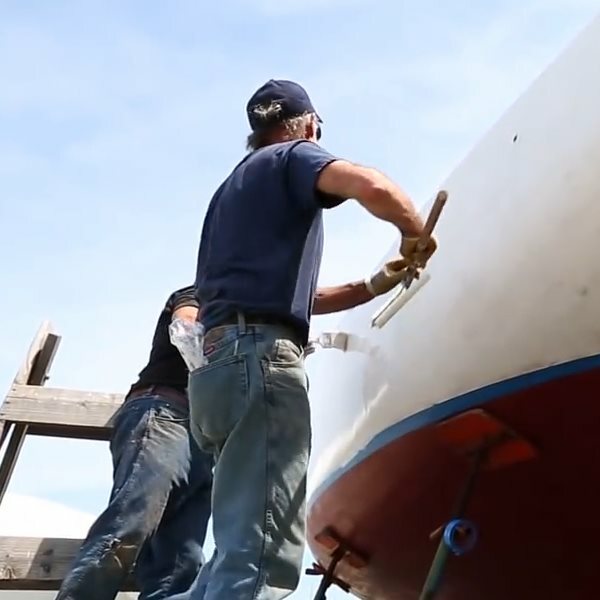 Other one-part topside paints can lift, peel, or crack under this type of pressure. Consistency and UV stability are hallmarks of the available Wet Edge colors. From serene to bold and brilliant, these colors will always look as good as the day they were laid down. If you want to make your own color, just mix any of the existing Wet Edge colors. Not designed for continuous submersion on boat bottoms that remain in the water longer than 72 hours.